Empire Contractors is the top commercial roofing company available to those in Muskegon, MI. We’re an experienced company that has built up a solid reputation across Michigan. 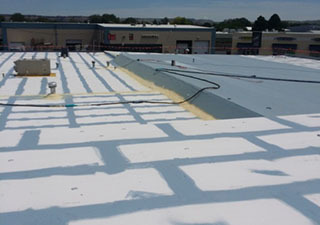 Our roofers are experts in working with all types of commercial roofing systems and materials. For a free onsite roof evaluation, give us a call at (231) 578-4760. 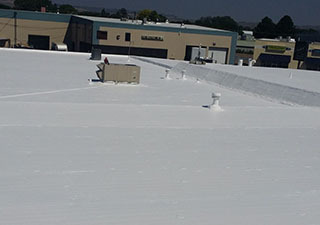 Empire Contractors offers a wide-array of commercial roofing services. One of our thorough roof inspections will find all of your roof’s issues and allow us to recommend the proper service(s) to fix them. From small, general repairs to large-scale roof replacements, Empire Contractors has you covered. Before you decide you need your roof replaced, make sure you are aware of the current restoration services. Here at Empire Contractors, we specialize in roof restoration. By restoring your roof, you’ll get more out of your existing roofing system. It’s also less wasteful, less time-consuming, and less disruptive. Plus, restoring your roof with a roof coating can make your building more energy-efficient. Our company has been around since the 1990’s. With over two decades of industry experience, our team is fully qualified to help you with any service your roof may require. Our formally-trained roofing technicians are fully licensed and insured so that everyone is protected on the job site. We have a strong customer service record and are known for our ability to customize quality roofing solutions. At Empire Contractors, we are also proud members of the Choice Roof Contractor Group. This shows that our roofing solutions have been proven to be of the highest quality. As a member, we also get factory training and in-depth instruction on how to continue providing complete customer satisfaction. We continue to offer honest roofing advice and quality workmanship to clients across Michigan. We look forward to forming more longterm business relationship with clients in Muskegon, MI. At Empire Contractors, we rely on our local reputation which is why we always go the extra mile to ensure flawless results. For a free onsite estimate on any sort of commercial roofing service, give us a call today at (231) 578-4760. Our roofing company proudly serves the state of Michigan. Our immediate areas of service include Shelby, Grand Rapids, Muskegon, Holland, Kalamazoo, and neighboring communities in West Michigan. Copyright © Empire Contractors. All rights reserved. Designed by Top Roof Marketing.